Main focus of this paper is to analysis five guidelines for Stroke Prevention. 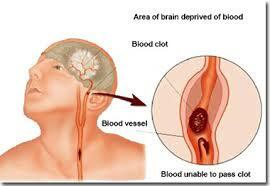 Thousands of people in this world will suffer from a stroke this coming year. Yet, current research shows that you have some ways to reduce yourself from experiencing that life-threatening condition. This five guidelines are Eat Fiber, Exercise, Add fish to your diet, Stop smoking and Drink in Moderation.